Size UK 11 - Euro 46. Colour honey. Comfortable and sturdy safety work boot. .. Size UK 10 - Euro 44. Colour honey. Comfortable and sturdy safety work boot. .. Size UK 8 - Euro 42. Colour honey. Comfortable and sturdy safety work boot. .. Size UK 7 - Euro 41. Colour honey. Comfortable and sturdy safety work boot. .. Size UK 9 - Euro 43. Colour honey. Comfortable and sturdy safety work boot. .. Size UK 11 - Euro 46. Colour black. Comfortable and sturdy safety work boot. .. Size UK 7 - Euro 41. Colour black. Comfortable and sturdy safety work boot. 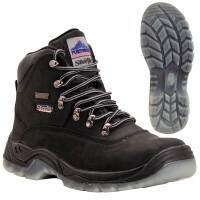 ..
Portwest Steelite Aqua All Weather Safety Work Boots Black S3 UK 6 Features Size UK 6 - E..
Portwest Steelite Aqua All Weather Safety Work Boots Black S3 UK 8 Features Size UK 8 - E..
Portwest Steelite Aqua All Weather Safety Work Boots Black S3 UK 11 Features Size UK 11 -..
Portwest Steelite Aqua All Weather Safety Work Boots Black S3 UK 10 Features Size UK 10 -.. Size UK 8 - Euro 42. Colour black. Comfortable and sturdy safety work boot. 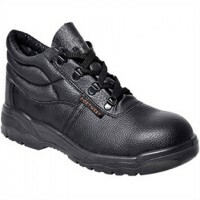 ..
Portwest Steelite Aqua All Weather Safety Work Boots Black S3 UK 9 Features Size UK 9 - E.. Size UK 10 - Euro 44. Colour black. Comfortable and sturdy safety work boot. .. Size UK 9 - Euro 43. Colour black. 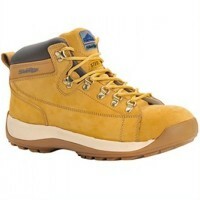 Comfortable and sturdy safety work boot. ..